Are you an intermediate adult player thinking which racquet options would be good for you? How to choose the right tennis racket shouldn’t be as hard as it is. UTR player level chart will give any international player a good idea how large this market really is. They can be beginner intermediate through advanced intermediate. That’s a lot of people! And everyone of them needs a racket. Some of you get back into tennis with intentions to play a couple times a year. Others become frequent players. Because I organize and direct adult tennis camps and tennis holidays I know exactly how large this market is and the challenges that come with picking the right tennis racquet. And I applaud you guys for getting in the game, playing and sticking around. I also believe you’re the ones carrying the sport. Not juniors. One essential to Play the Game? A racket. Choosing a tennis racket for intermediate players can be daunting. Not to mention boring. Trying to understand racquet technology from online suppliers can be a real snore. You player! Are in the drivers seat. You only need to DEMO racquets to find your new home. Steer clear of your favorite Tour player’s choice and any kind of gimmick. You need different rackets to feel, try and test! DEMO 3-4 sticks based on your level and game style. And if your’re unsure of that, ask your teaching pro. You know what feels best for you! I can’t tell you how many times I’m ready to change rackets. Only to return to my old one. If a racquet doesn’t feel like home – it doesn’t get past my front door! I contacted the 3 top online racket specialists. Tennis Warehouse, Midwest Sports and Tennis Express. No one wanted to offer any guidance of making this conversation with you any easier. I went to them so I didn’t have to go to a brand. They quickly steered me to their online ‘how to pick a racket guide’ and there I was, back at square 1. See, I don’t understand racquet technology and string filaments either! And I’m ok with that. I’m as confused as you when choosing the right tennis racquet. Tecnifibre is one I hadn’t paid attention to in the past decade. Prince, Wilson, Babalot – yes! But not Tecnifibre. They were never marketed heavily in the USA. I knew 5.0’s, top juniors and touring pros used them. And always more men than women. Yet the more I researched, the easier they were for me to understand. Their online copy speaks specific to the recreational player. Not the engineer. They make racquet descriptions easy to understand in order to select the right demos. He’s knowledgeable, transparent and helpful in putting adult players in the right direction! 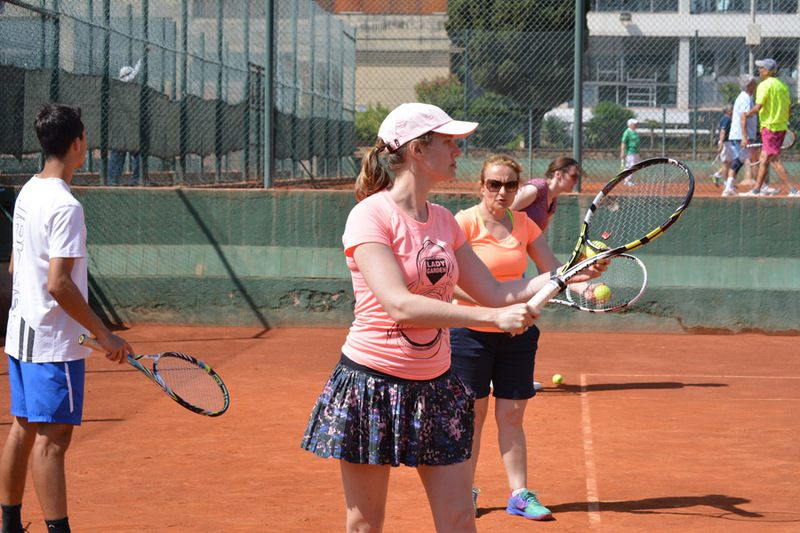 Costa del Tennis: How can we help adult tennis players at the beginner – intermediate levels choose the right tennis racquet? Tecnifibre: At any level, choosing the right tennis racquet and equipment can help improve your game. First of all, I recommend paying attention to both racquet AND string (adapted grip size). An intermediate player doesn’t need to spend a lot of money on their racquet. A maneuverable frame with the correct grip size, a standard head size and a soft string is the guarantee of a smart choice. Costa del Tennis: Why is it important they DEMO frames before purchasing? Tecnifibre: In case you just take the new version of your racquet (new paintjob, no major change) it shouldn’t be a problem. If you’re going for a racquet with different specs, take your time. Finding the right frame/string is really personal. Trying a racquet is obviously the best way to make sure you’re making the right choice. Your racquet is part of your performance, don’t forget that! If your coach or a specialized retailer can help with recommendations, it’s a good thing. If not, I highly encourage you to demo at least 1 or 2 racquet before making your decision. Costa del Tennis: What’s missing when considering purchasing a racquet? Most players I know want what they’re favorite Tour player uses. They’re also not thinking of personal goals a racquet can help them achieve going forward? Tecnifibre: A beginner/intermediate level player has different needs than Roger Federer or Rafael Nadal. As so, you should focus on what’s good for you. I don’t encourage amateur players in having too much of a technical approach. The best recommendation is to reach out to a racquet specialist who can help you (or coach with a serious education on tennis equipment). If you care about performance (and all tennis players do), investing time in trying new racquet and strings is an enjoyable process, leading to your goal: getting the best from your equipment. Costa del Tennis: What makes you and Tecnifibre the experts in the room to talk to players? Tecnifibre: I’m the sport marketing manager for Tecnifibre USA, (previously promotion manager for Tecnifibre in Spain). I spent my life on tennis courts, and the last 10 years dealing with high performance Juniors, pro players and amateurs. We fully believe in educating the market. Marketing and the top athletes you see on TV are important, but at the end of the day, our mission is to help you enjoy your tennis. That’s why we provide solutions to your needs. Costa del Tennis: Can you talk about how players should properly Demo a racquet? How long they should play with it? Under what conditions? Tecnifibre: A demo cannot/shouldn’t be made in 10 minutes. It’s important to play a few times with the racquet (especially if you try a heavier frame). Hitting balls from the baseline during a few minutes is a lot different from the situations you will face in a match (including serve, defensive shots, volleys etc…). 1st step, make sure you hit with the right string. You will always get a better playability with a fresh string. – Play drills, switching every 10 minutes between your racquet and the one you demo. For the next hitting sessions, we recommend to focus on your demo, doing a regular practice + playing points. It’s always interesting to test your new equipment in a match situation. Costa del Tennis: We don’t see Tecnifibre heavily marketed in the marketplace. I know from experience there’s performance sticks in the hands of junior players. How does Tecnifibre translate in the hands of adult recreational players? Tecnifibre: Tecnifibre is a real insider brand in the tennis market. Our DNA is based on the development of technical products (strings, racquets, balls, bags, accessories, apparel & stringing machines) + strong connections with tennis clubs and their environment (Coaches, players, specialized retails). 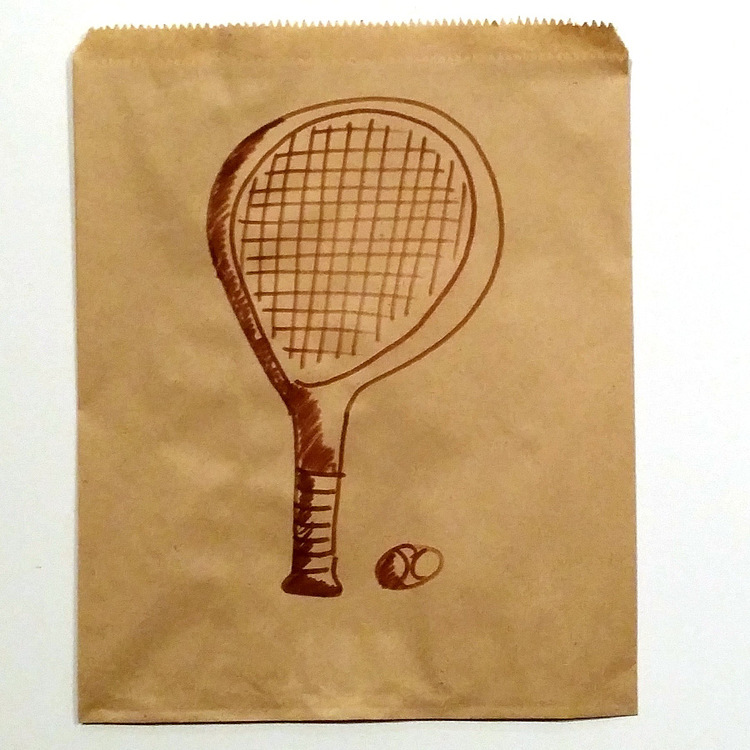 We do our best to provide premium quality products for all the tennis players. Most importantly, intermediate level players should use multifilaments (= Soft strings, easy on the arm, perfect to prevent wrist, elbow, shoulder or back injuries). If you’re interested in demoing or purchasing Technifibre frames or BALLS let me know! I have to say they’re long lasting and worth your money.